The new walking/golf cart path was installed to insure we have a safe area for bicyclists, walkers, and joggers. Residents are now safer by avoiding motor vehicles. And, now we have added Villa Location signage. 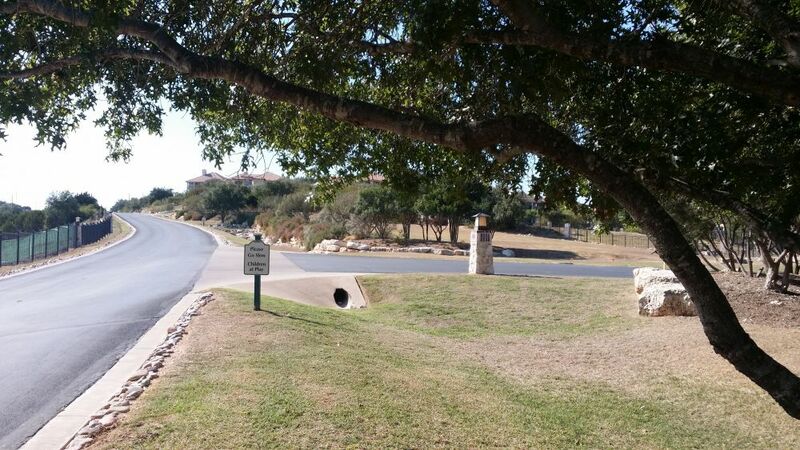 Lake Travis Fire and Rescue has recommended a change in how and when vehicles should be parked on the streets of our community The Lake Travis Fire and Rescue Department (a county government agency) has recommended that a Fire Lane – No Parking restriction be placed on the outer circle of Section 1 of our community. To bring our community into compliance and to reach a parity with other gated communities in our area the following parking rule and regulation will be going into effect as of July 1, 2016. Appropriate signage will be installed to facilitate compliance by both residents and their guests. The outer circle of Section 1 (14618) will be a Fire Lane – No Parking zone. No automobile or other vehicle, may be parked overnight on any roadway within the Property (Specifically from the hours of 12:30 AM until 8:30 AM). Vehicles parked in violation of this rule will be subject to towing, at the expense of the owner of such vehicle. There will be a limited number of Guest Parking Spaces available in Section 1 for your convenience. These spaces will be noted by appropriate signage indicating the location and restrictions of use. No resident’s vehicle may use the Guest Parking area. Guest parking is limited to one 24 hour period per week per vehicle. Upon request the HOA Board can issue a temporary parking period extension for the guest area parking only. This extension will be strictly for guest vehicles. In addition to the parking restrictions within this statement, any vehicle violating this Rule and Regulation is subject to be towed away at the Owner’s expense. At no time during the hours when street parking is permitted will any vehicle be allowed to park opposite any driveway. Violators will be towed without exception. Commercial vehicle(s) with company signage will not be allowed to park overnight in any area that is visible by any resident. WCID#17 is no longer under a residential mandatory watering schedule. Commercial Mandatory is still in effect, Year Round, Tuesday and Friday’s. Residential Mandatory Stage 1 Outdoor water use will go back into place May 1, 2016 through September 30, 2016. Please water only on your designated days and continue to help conserve water. Thank you. Automated irrigation: Irrigation by means of a system controlled by a timer or other remote controller. No automated irrigation may be done between 10:00 a.m. and 7:00 PM. Between 12:01 a.m. to 10:00 a.m. or 7:00 PM to 11:59 PM, only on your designated days. Note: Customers that utilize automated systems may NOT water the same landscape areas using hose end sprinklers; only hand held hose if additional water is required. Hose end sprinkler: Garden hose equipped with a removable portable sprinkler which is moved from place ot place by hand and turned on and off by hand. Any day, between 12:01 a.m. and 10:00 or 7:00 PM to 11:59 PM. No watering between 10:00 a.m. and 7:00 PM. WATERING WITH A HAND HELD HOSE, SOAKER HOSE, BUBBLER, DRIP IRRIGATION OR WATERING CAN OF 5-GALLONS OR LESS IS ALLOWED ANY DAY, any time. "The board requested I explain how our condominium regime operates. 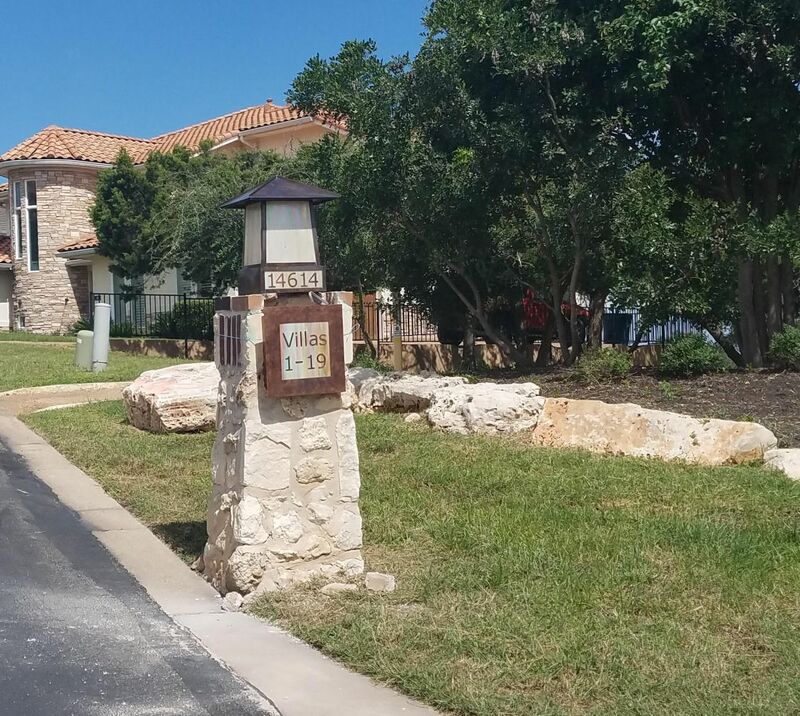 It is important for each unit owner to understand that the Villas at Commander's Point is a condominium regime and not the typical platted subdivision with lots that have metes and bounds legal descriptions and surveys. Each of us owns units NOT lots. Initially the developer owned all of the land in the entire community but subsequently transferred it to the Association per the Declarations several years ago. The land (the entire community) is divided into condominium estates consisting of separate units. Each unit has certain rights to use the common areas, both general and limited. All the land in the entire community was originally general use common area. In order to acquire limited use common area rights, the unit owner's construction and landscaping plans and specifications must be approved in writing by the DRC and, in certain circumstances, the Board. Additionally, the house must be constructed in conformity with the approved plans. Limited use common areas include the home site (the actual footprint of the house constructed for a unit), the home construction envelope (the designated area immediately surrounding the house, initially for construction and then later for landscaping), the driveway, and the walkway that connect the Unit to the adjacent street. Limited use common areas can also include landscaped and fenced areas if approved in writing by the DRC and the board. All the land that is not limited use common area is owned by the Association as general use common areas. Exclusive use limited common areas can be for the benefit of one or more unit owners if directly affected such as shared driveways and walkways if approved by the DRC and the board. Unfortunately, when the developer controlled the DRC and Board, many of the existing homes were built without the required written approval which has led to considerable confusion and misunderstanding as well as some litigation. Because we own condominium units with limited rights to exclusively use appurtenant common areas, each individual unit is affected by all the other units use of both the general use and especially the limited use common areas. As a result, the board and the DRC attempt to closely coordinate consistent approval for limited common areas in order to maintain property values and a quality neighborhood. Hopefully, this discussion will aid your understanding of how condominium regimes operate. If you have any questions, please feel free to contact me or any board members." Callers seeking assistance with general community issues, accounting matters, resale certificates, front gate access, or messages to appropriate HOA members can be selected from the greeting menu.